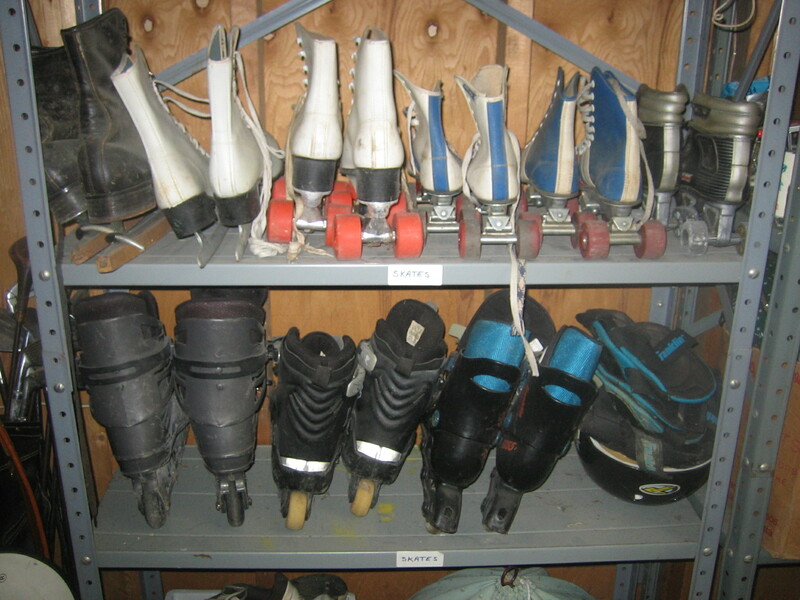 We have 9 pairs of skates in our basement (4 kids roller skates, 3 kids in-line skates, and, 2 adult ice skates). 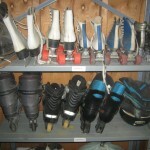 Seeing as no one has used any of them in probably 10 years, I think I will give away all but the adult ice skates. Memo to our kids: “If you want any of these (even though they probably won’t fit anymore) better e-mail me pronto.” The helmet I might keep because that can serve multi-purposes. The knee pads will go with the skates.